Thursday, Apr. 4, 2019, 5:30 – 7 p.m. 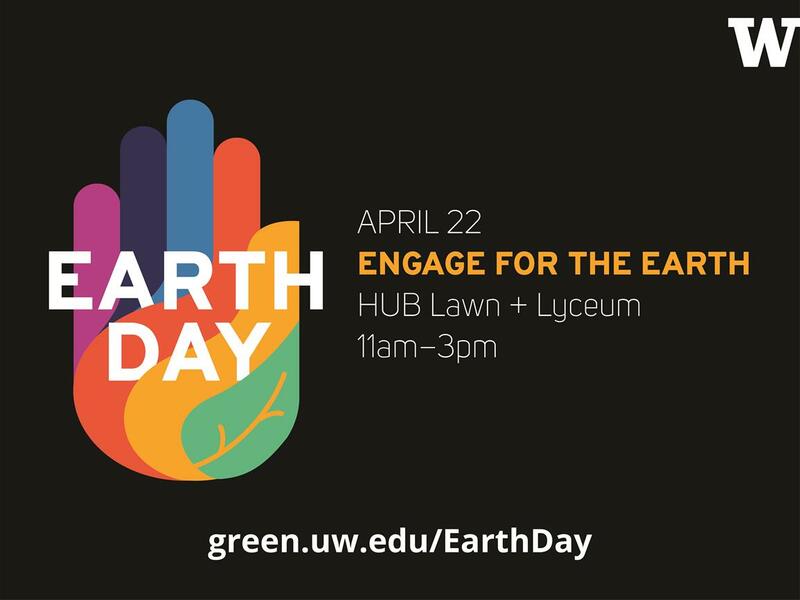 The UW's 2019 Earth Day celebration will be April 22, 2019, on the HUB Lawn, as part of Earth Week. This year's Earth Day event will include a focus on action, equity, diversity and environmental justice. Students who are interested in being a part of the Earth Day planning committee can email student coordinator Sarah Culp at sfculp@uw.edu, or attend the student committee planning meetings.